The report showed the iPad to have 53 times the usage share of its nearest competitor, the Android-based Samsung Galaxy Tab throughout May. 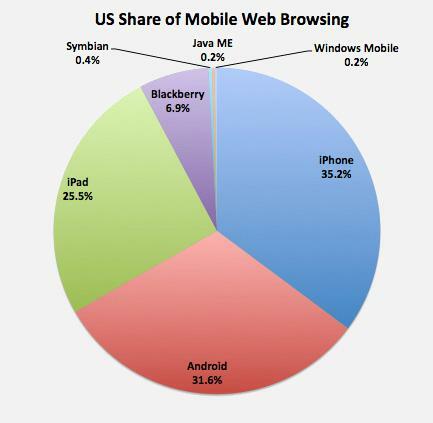 Apple's tablet also dwarfed the third-placed Motorola Xoom tablet's share of global web browsing with a share 76 times greater. In addition when compared to the Research in Motion's Blackberry PlayBook, the iPad has roughly 306 times the usage.